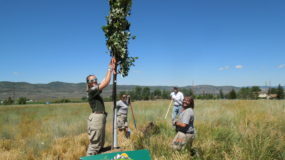 ReLEAF UTAH – Promotion of Stewardship for our Community Forests in Summit & Wasatch Counties in Utah. 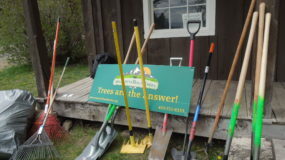 Meet your tree-loving neighbors and see what we do. 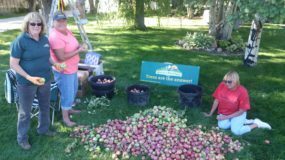 Fruits to nuts, find your favorite ways to work for trees. What can I do? Get involved in an upcoming event. Learn more about your leafy and cone-bearing friends. 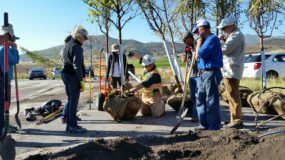 As we expand our reach outside of the Wasatch Back, we have decided to change the name of our non-profit to “ReLEAF UTAH.” Wasatch Back Trees will continue to function as usual, but as a program of ReLEAF UTAH. Uinta Headwaters RC&D (Wasatch Back Tree’s previous fiscal sponsor) will be transitioning into ReLEAF UTAH. We will continue to be a fiscal sponsor of the East Canyon Watershed Committee, as trees and water are a symbiotic relationship that we cannot live without.